Service (IHS) direct-operated health care program. The development of: (1) A management structure (2) an evaluation of Tribal health programs; (3) a feasibility study and comprehensive health plan; (4) a management information system; (5) technical assistance; (6) a development of financial/management systems for Public Law 93-638 programs; and (7) a Federal program analysis. Office - See Appendix IV of the Catalog for Indian Health Service Area Offices. In fiscal year 2007, 23 new and seven continuing Tribal management project grants will be made. In fiscal year 2007, an estimated 20 continuing projects will be funded. The assistance is used for four types of management related projects: (1) Feasibility Studies; (2) Planning; (3) Tribal Health Management Structure Development; and (4) Evaluation. Tribal management grants may not be used to support operational programs, or to supplant existing public and private resources. This assistance is available to Federally-recognized Indian Tribes and Tribal-sanctioned Tribal organizations. Federally-recognized Tribes and Tribally-sanctioned Tribal organizations. Individuals who are members of an eligible applicant Tribe, band, or group or village and who may be regarded as within the scope of the Indian health and medical service program and who are regarded as an Indian by the community in which he lives as evidenced by such factors as Tribal membership, enrollment, residence on tax exempt land, ownership of restricted property, active participation in Tribal affairs or other relevant factors in keeping with general Bureau of Indian Affairs practices in the jurisdiction. Certification of Native Indian or Alaskan descent is required for direct services. Provisions of grants under Public Law 93-638 and its amendments require Tribal endorsement in the form of a Resolution to sanction Tribal participation. Costs will be determined in accordance with OMB Circular No. A-87 for State and local governments (and Circular No. A-122 for Nonprofit Organizations) as implemented through program regulations 42 CFR 36 and applicable grant administration regulations 45 CFR, Part 92, (45 CFR 74 for nonprofit organizations). An applicant under Public Law 93-638 seeking to serve more than one Tribe must have approval by Tribal resolution of each Tribe involved. The applicant package may be found in Grants.gov. 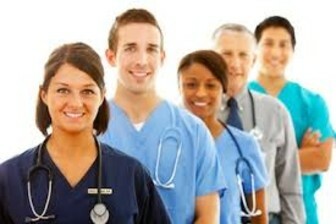 or at http://www.ihs.gov/NonMedicalPrograms/gogp/gogp_funding.asp. Information regarding the electronic application process may be directed to Michelle G. Bulls, Grants Policy Officer at (301) 443-6528. Applications under Public Law 93-638 to staff and manage health services and facilities may be submitted to respective IHS Area Office. Tribal Management Program is processed and administered by IHS Headquarters. This program is subject to the provisions of 45 CFR 92 for Indian Tribes and OMB Circular No. A-110, if applicant is a nonprofit Tribal organization. Grants are awarded on a competitive basis with processing and final approval by Headquarters. For Public Law 93-638 grants applications must be submitted 90 days prior to the proposed project start date. Specific types of grant projects may have specific deadlines imposed. Contact Headquarters Office for application deadlines. Public Law 83-568, 42 U.S.C. 2001-2004a; Indian Self-Determination and Education Assistance Act, Section 104 (b), Public Law 93-638, 25 U.S.C. 450; Section 9, Public Law 98-250; Public Law 100 - 472. 90 days. Grants are approved/disapproved within ninety (90) days from receipt of application/proposal in IHS Headquarters. Grant appeals will follow PHS appeals procedures: 42 CFR, Part 50, Subpart D and DHHS appeals procedures: 45 CFR 16. Renewal of grants is on a year-to-year basis and requires the submission of continuation applications. Public Law 93-638, grants are subject to Regulations in November 14, 1975, Federal Register, Vol. 221; and administrative requirements under 45 CFR, Part 92 for grants to Indian Tribes and 45 CFR, Part 74 to nonprofit tribal organizations. HHS and the Comptroller General of the United States or any of their authorized representatives, shall have the right of access to any books, documents, papers, or other records of a grantee, subgrantee, contractor, or subcontractor, which are pertinent to the HHS grant, in order to make audits, examinations, excerpts and transcripts. In accordance with 45 CFR 92.42, grantees are required to maintain grant records 3 years after they submit their final expenditure report. If any litigation, claim, negotiation, audit or other action involving the records has been started before the expiration of the 3-year period, the records must be retained until completion of the action and resolution of all issues which arise from it, or until the end of the regular 3-year period, whichever is later. (Grants) Tribal Management: FY 07 $2,430,000; FY 08 est not available; and FY 09 est not reported. Health Services: FY 07 $3,000,000; FY 08 est not available; and FY 09 est not reported. Tribal Management Awards: range of $50,000 to $100,000; $79,690. Health Services Projects: range of $85,000 to $185,000; $182,140. 42 CFR 36; 45 CFR 92 and 45 CFR 74, PHS Grants Policy Statement, DHHS Publication No. (OASH) 94- 50,000, (Rev.) April 1, 1994; Program Guidelines for Competitive Projects. Program Contact: For Tribal Management Program: Ms. Patricia Spottedhorse, Program Analyst, Office of Tribal Programs, Indian Health Service, 801 Thompson Avenue, Suite 120, Rockville, MD 20852. Telephone: (301) 443-1104. For Health Services Projects and Grants Management Contact: Ms. Lois Hodge, Grants Management Officer, Division of Grants Operations, Indian Health Service, 801 Thompson Avenue, TMP, Suite 360, Rockville, MD 20852. Telephone: (301) 443-5204. Use the same numbers for FTS. (1) The apparent capability of the applicant to organize and manage the proposal project successfully considering the adequacy of staff, management systems, equipment and facilities; (2) the soundness of the applicant's plan for conducting the project and for assuring effective utilization of grant funds; (3) the adequacy of the budget in relation to the scope of the project and available funds; and (4) the relative effectiveness of the applicant's plan to carry out each of the requirements as set forth in the application.